TwitchThe scene of the shooting was captured on Twitch, which was broadcasting the tournament live. Three people, including the gunman, were killed in a mass shooting at a video game tournament on Sunday in Jacksonville, Florida. Jacksonville police confirmed nine people were shot and two others were injured. Officials identified the gunman as 24-year-old gamer David Katz from Baltimore, Maryland. The shooting comes two days after a gunman killed one person and left two injured at a high school football game in Jacksonville. Three people, including the gunman, were killed in a mass shooting at a Madden NFL video game tournament in Jacksonville, Florida, on Sunday afternoon. Police said 11 people were injured. Nine of them suffered gunshot wounds. Several of the injured were in stable condition Sunday evening, and one of the wounded, who suffered multiple gunshots to the chest, was in serious condition, hospital officials told CNN. Authorities identified the gunman as 24-year-old gamer David Katz from Baltimore, Maryland. He died from a self-inflicted gunshot wound, police said. As part of the ongoing investigation, heavily armed FBI agents on Sunday night entered a Baltimore-area townhouse that belongs to the gunman’s father, the Associated Press reported. Katz was a known gamer and appears to have won the the Madden Bills Championship in 2017. 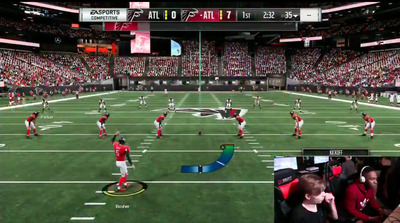 The shooting happened at a livestreamed tournament of the new video game “Madden NFL 19”, hosted at the Good Luck Have Fun Game Bar at Jacksonville Landing, an outdoor mall. The Jacksonville Sheriff’s Office urged locals to stay away from the area as the shooting unfolded. A recording of the Twitch live stream shows two competitors playing the game before what appeared to be a red laser appeared on the sweatshirt of one of the gamers. The image disappeared as the gunfire erupted. Drini Gjoka, one of the two competitors shown in the live stream, tweeted that the “tourney just got shot up” and a bullet had hit his thumb. The Jacksonville Sheriff’s Office confirmed that Elijah Clayton, 22, who went by the gaming alter ego TrueBoy, and Taylor Robertson, 27, were killed in the shooting. His cousin, Brandi Pettijohn, said Clayton “did not believe in violence” and had “never even had a fistfight,” according to the Associated Press. A competitor told the Los Angeles Times the gunman competed and lost earlier in the tournament. Steven “Steveyj” Javaruski told the LA Times Katz “targeted a few people” and shot at least five before killing himself. White House press secretary Sarah Sanders said Sunday afternoon that President Donald Trump was been briefed on the shooting. As of Monday evening, Trump has yet to comment on the massacre. Florida Gov. Rick Scott tweeted that he had been in touch with Jacksonville Mayor Lenny Curry to offer “state support and resources” in response to the shooting. Scott visited injured victims at the hospital shortly after Sunday’s incident. Sujeil Lopez, who according to her Twitter bio is from Riverview, Florida, shared a photo of her son, Timothy Anselimo, in his hospital bed with Scott standing next to him. Sen. Marco Rubio of Florida tweeted that local authorities were in touch with federal resources needed as the investigation continues.